It’s the very first show, and who else would you have introduce Tsubaki Factory than their very own queen of azatoi? Yes, Niinuma Kisora introduces/reminds us of who they are, and that they made their major debut with the release of Hatsukoi Sunrise/Just Try!/Uruwashi no Camellia, as if it wasn’t the biggest H!P meme of the past year. As it turns out, Kisora is not only the host of this episode, she’s the host of every episode. She’ll have a different Tsubaki as her co-host every week, but this the Kisora show now, especially because her first partner is Tsubaki Factory’s squishy leader, Yamagishi Riko. She begins by casually asking Kisora if she’s nervous, to which Kisora responds that she was fine until she starting doing the intro for the show by saying, “Hello.” Riko reassures her in that very Riko sort of way that does not reassure you in any way that things are going to be okay. Everything is definitely not fine. But there is no time to be nervous when you only have ten minutes! Time for fan letters, which were solicited prior to the start of the program. The first letter comes from Shatoda, who congratulates the members on the start of the new year and who wonders, with all their great success in the last year and their emerging success in the new, do the members have any goals or things they want to try in the coming 2018? This was apparently a very popular question, with others like Kyon from Fukuoka, Green Mart Takahashi, and Haruri, among many others, asking more or less the same thing. Riko says that her personal goal for the new year is to find a new special skill. Generally, she lists her talent as playing the recorder while moonwalking (no, really), and she wants to give that up, but she wants to replace it with something no one else has done. For context, a special skill for an idol, a tokugi, is important because it’s something that the idol can quickly be called upon to do to promote herself or demonstrate any special abilities she might have. Obviously choosing something like singing or dancing is obvious when you’re good at them, but it doesn’t stand out in the way that moonwalking and playing the recorder does. Kisora points out that her special skill now already fulfills the qualification of being something that no one else can do, so Riko explains that she came to that idea by combining two things she already knew how to do. She picked up the recorder because it sounds like her name–Riko, rikodaa/recorder, get it?–and she’s long been good at dancing, so she just put the two together to make her more unique. Kisora bemoans the fact that she doesn’t have a skill that translates well over radio, like touching her upper lip to her nose, so she’d like to find a new talent that is actually, you know, a talent. They then discuss their goals for this year with Tsubaki Factory as a whole. Riko references their first solo concert coming up, and she wants to take that momentum and move on to sing and perform in more places and on bigger stages. 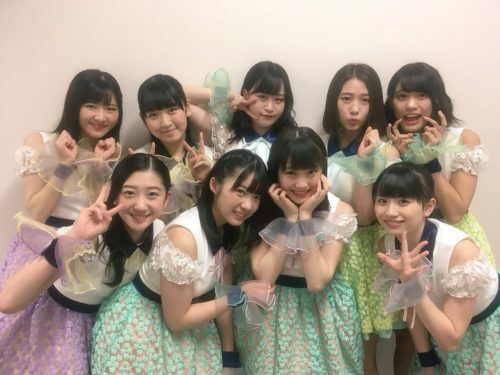 Kisora brings up something she’s been talking about often since last year, which is that she wants them to become leading figures in the idol world. 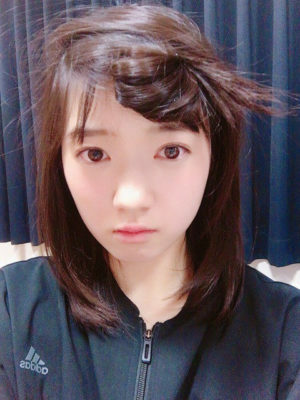 Last year was really their first introduction to the major idol scene, so she hopes that maybe they’ve gotten a bit closer to that goal for now and will keep trying new things to make that goal happen. The rest of the program is dedicated to Teion Yakedo, both the song and the promotion of the song as a single release, and there is very little time left for anything else. They do further insist that everyone send them questions and comments, although it is still unclear whether they only answered one question because that’s all they had time for, or whether it was because they only actually received one good question from a dozen different people. Still, it’s worth it to listen until the end just to hear Riko spell Tsubaki, because I’m not sure you can really call yourself an idol fan if you don’t love listening to your oshimen spell things out loud. Tune in next time to hear more answers to a single question with Kisora and friend! Hey Lurkette! Long time no see. Good to have you (and the site) back. 🙂 Hope you enjoy translating this show. Tsubaki seems like a fun group. Hello! Thanks for adding the category for the show. I assume it was you, anyway. Thanks to someone else if it wasn’t. It’s a short show so I can do whole shows pretty quickly, which is nice, and Tsubaki is a mix of very different personalities so it’s fun to hear them interact.